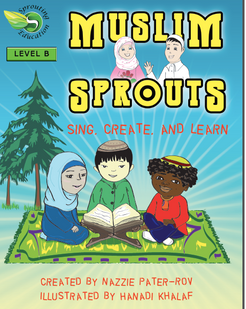 Please consider purchasing our new textbook: Muslim Sprouts. 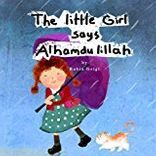 This book provides the worksheets, lessons, and crafts that were previously provided on this website. Purchasing the book will help me to continue to provide resources on this website. Jazakullah for your support. Click on any picture of a product to see where you can buy it! 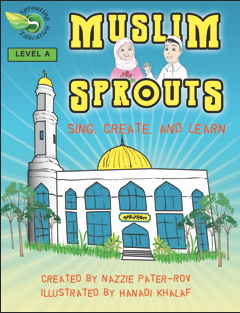 Objectives: Students will learn to use As Salaam Alaykum, Bismillah, Alhamdullilah, Inshallah, Yarhamkamullah, Subhanillah, and Mashallah appropriately. Peace be unto you and you! 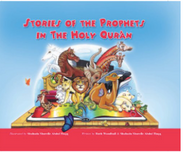 Objective: Students will retell the stories of five major prophets mentioned in the Qur'an and identify the prophets by name. Objective: The students will list four beliefs of Muslims: Belief in the Day of Rising, Belief in the Paradise, Belief in the Angels, Belief in the Books, Belief in the Angels. Song- What Do We Do To Keep Ourselves Clean? Song: Line Up (to pray). Craft: Paper Chain People (To show Muslims lining up for Jummat).